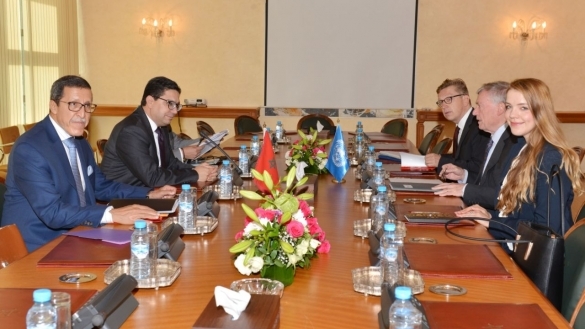 Morocco's Foreign Affairs Minister Nasser Bourita with UN Secretary General Personal Envoy for Western Sahara Horst Kohler and Morocco's Permanent Representative at the UN, Omar Hilale. 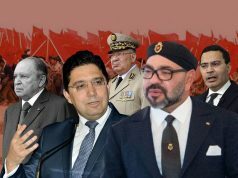 With the release of the report and its insistence on the need for the parties to return to the negotiating table, many in Morocco have been wondering whether the United Nations is putting pressure on Morocco Q5 to compel it to resume direct negotiations with the Polisario Front. There is no doubt that there is a general trend in the Security Council that seeks to revive the stalled negotiations on the Western Sahara conflict to pave the way towards a mutually acceptable political solution. Horst Kohler, the personal envoy of the Secretary-General for Western Sahara, appears determined to avoid the failure of his predecessor. Kohler is trying to gain the Security Council members’ support to get Morocco and Polisario to negotiate. One of the main factors behind the UN Secretariat’s renewed emphasis on the need to relaunch direct negotiations is the presence of John Bolton, a former US ambassador to the UN, in the Trump administration. The current national security adviser to President Donald Trump knows the ins and outs of the conflict and masterminded the US plan to cut its contribution to MINURSO from $16 million to $8 million next year. The Trump Administration has repeatedly called on the UN to be accountable and more effective; earlier this year it hinted at intentions to slash contributions to many peacekeeping missions, including MINURSO. At first glance, it appears that the Secretary-General and the Personal Envoy did not make any significant changes in the UN’s approach since the adoption of Resolution 1754 in April 2007. 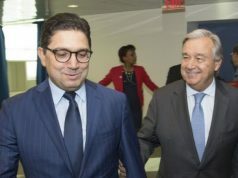 The Secretary-General’s and the Personal Envoy’s invitation for Morocco and Polisario to begin negotiations to define the main framework of future negotiations–without taking into account Morocco’s firm position–risks locking the political process in a prolonged stalemate. The Secretary-General and the Personal Envoy have not drawn lessons from the experience of their predecessors. 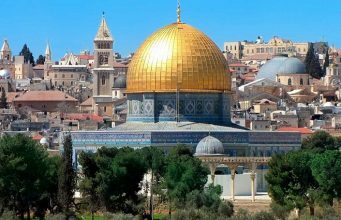 They do not have the courage to break new ground by recognizing that the approach of the past 10 years has proved a failure and ultimately prolonged the conflict. 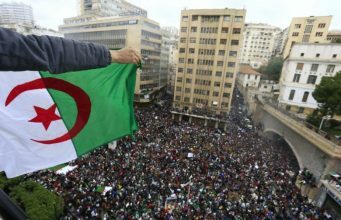 If the UN is unrealistic about Algeria’s central role in the Western Sahara conflict as well as its diplomatic, military, and financial support for Polisario, there will be no progress in the political process. While Algeria claims that it has no role in the conflict, it continues to pay the Washington-based PR firm Foley Hoag over $400,000 annually to lobby members of US Congress in defense of Polisario. According to information available on the website of the US Department of Justice’s Foreign Agent Registration Act, Foley Hoag is listed as a firm carrying out lobbying activities in the US Congress on behalf of Algeria. 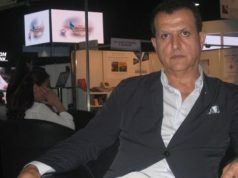 However, the main focus of the firm’s work has been to defend Polisario and thwart any Moroccan attempt to obtain widespread bicameral and bipartisan support from the US Congress. Paul S. Reichler, the chair of the firm’s international litigation department, signed a lobbying contract with Polisario in February 1992. Instead of taking these facts into account and readjusting its approach accordingly, the United Nations prefers to overlook them. As I predicted in an article I published last week, Morocco responded favorably to the Personal Envoy’s request to attend the Geneva talks in December. Morocco, however, will respond to the Security Council’s calls only to show its goodwill and determination to reach a mutually acceptable political solution. Morocco is convinced that nothing will result from those talks. 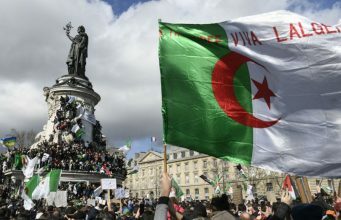 Morocco will use the upcoming Geneva talks to reaffirm its firm position that there will be no solution if Algeria does not attend as a major party to the conflict and that negotiations should be based on the autonomy plan that Morocco submitted to the Security Council in April 2007. 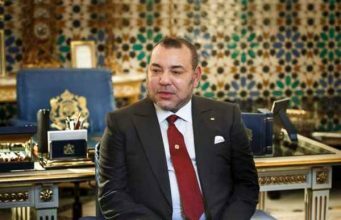 Despite pressure from the US to push the political process forward, Morocco will not necessarily be forced to sit at the negotiating table. Morocco has some diplomatic leverage and enjoys the support of many representatives of the US House, as well as a significant number of State Department staff. Additionally, Moroccan diplomatic efforts to win the sympathy of Congress towards the Moroccan position resulted in a draft resolution being submitted by three members of the House of Representatives. The draft resolution condemns the alleged complicity between Polisario and Hezbollah to undermine Morocco’s stability and calls on the US State Department to support Moroccan positions in the UN. 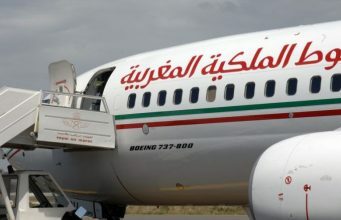 Although such decisions are not binding for the US State Department, if approved by Congress, it would endorse Morocco’s position on the Western Sahara issue and give Morocco a great boost. Polisario no longer has strong champions in the US House of Representatives, especially after the former president of the Western Sahara Caucus, Joseph Pitts, retired at the end of 2016. To make things worse, the other co-chair of the caucus, Democrat John Conyers Jr. of Michigan, was forced to resign in December 2017 because of his involvement in a sexual assault scandal. Through Congressional meetings, these two members of the House of Representatives played an instrumental role in bringing the attention of the Obama Administration to the issue of the alleged violations of human rights in Western Sahara. The draft resolution that former US Ambassador to the UN Susan Rice submitted to the Security Council in April 2013, which called for the monitoring of human rights in Western Sahara, was the direct result of the campaign the two members of Congress launched in Washington, D.C. 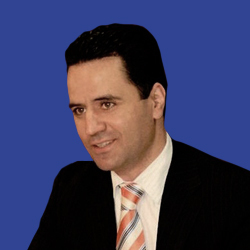 Accordingly, even if the upcoming UN Security Council resolution explicitly calls for the parties to the conflict to enter direct negotiations, Morocco will have ample time to mobilize its friends in Washington to obtain support, pursue its agenda, and to ensure that a political solution is contingent on engaging Algeria as a major party to the negotiations. However, Morocco should double down on its efforts more than ever before to gain the sympathy and support of the US Senate. While Morocco has broad support within the House of Representatives, it does not maintain the same favorable position with the Senate. Thanks to the advocacy work performed by the PR firm Foley Hoag, some members of the Senate, such as Lindsay Graham (a Republican representing South Carolina), Patrick Leahy (a Democrat representing Vermont) and James Inhofe (a Republican representing Oklahoma), have consistently supported the positions of Algeria and Polisario and made sure that US budget laws contained no references to Algeria’s major role in the conflict. 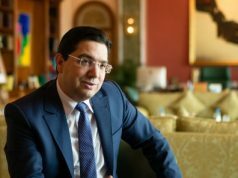 The meetings that Morocco’s Foreign Minister Nasser Bourita held with Senators Ted Cruz (Republican from Texas), Lindsay Graham, and Todd Young in September are a step in the right direction and seem aimed at fighting the Polisario on its turf. 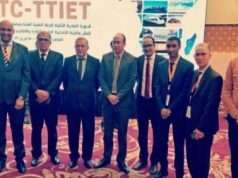 It remains to be seen to what extent the Moroccan initiative will get the Senate to be friendlier to Morocco’s position on the conflict. 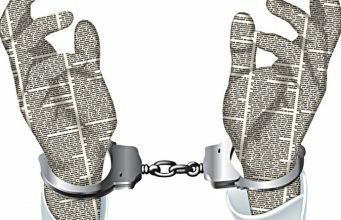 For this scenario to happen, Moroccan efforts and advocacy should be sustained and target other influential members of the Senate. Morocco should also emphasize that stability in the region is of paramount importance to US strategic interests. 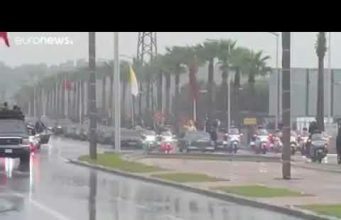 Without clear and unambiguous support from the Senate, Moroccan efforts to get the full backing of Congress will fall short of achieving their goal, no matter how much support Rabat receives from the House of Representatives.